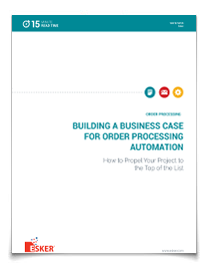 Are you ready to rid your order management process from the pains of paper? Have you explored the advantages that automation could bring your department and entire company? If so‚ it’s time to sell order processing automation to upper management and other key stakeholders! Start building your business case and impressing top executives with your initiative by downloading the white paper today!